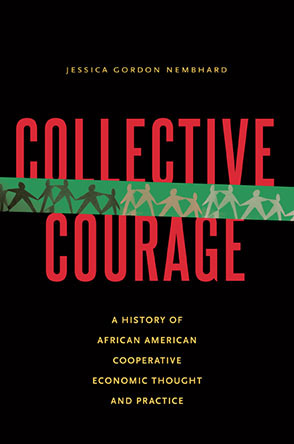 Baltimore's rich cooperative heritage dates back a couple hundred years to a shoemakers union that opened its own factory in 1794, according to John Curl, cooperative historian and author of For All The People: Uncovering the Hidden History of Cooperation, Cooperative Movements, and Communalism in America. African Americans and the working class in general has always have always had a tough time under capitalism, which operates off our backs. But the economic exploitation reached a new level when the predominantly white middle class, which tended to benefit from this oppressive arrangement, also started to get knocked off their feet. Award winning producer of Capitalism: A Love Story Michael Moore lays out a very interesting history and encourages people to take action. The International Business Times reported Monday May 30, 2011 that Utah and other U.S. states are preparing to use gold as tender (money) and institute a monetary system that would survive a crash of the dollar. John Duda, of Red Emma's Bookstore Coffeehouse, a worker-owned and operated business in Baltimore, writes in the spring issue of Indypendent Reader about the process of building a just and sustainable economy by examining a local worker dog-walking cooperative called Just Walk, Cleveland's Evergreen Cooperatives, and the Sojourner-Douglass College plan to rebuild a neglected part of Baltimore called Oldtown with a community wealth strategy that will include cooperatives. Read more about Mondragon's Corporate Model: "The Workers Have the Power"
Ever since I first learned about Mondragon cooperatives in Dr. Christina Clamp's graduate class at Southern New Hampshire University, I have been fascinated with what black people might do with the lessons from the Mondragon experience. Author's self-portrait outside of Mondragon headquarters. Five of nine of us touring Mondragon arrive on Sunday in Bilbao, make our way to Mondragon-Arrastata, get settled and find food at the Monte bar a short walk from The Hotel Mondragon where we are staying for the week-long tour. I fall into bed at about 10:30 (4:30 pm EST), the 12 hour journey and time zone change wearing me out. Tonight there is no reading of The Kemetian Tree of Life, my nightly fix. This story by Karen Thomas, of the Ohio Employee Ownership Center, is reprinted from the Winter 2011 issue of Owners at Work. It is the story about how eight workers took over a local restaurant, and turned it into a worker cooperative called Casa Nueva. But the work did not stop there. In the 25 years that it has been operating, Casa Nueva has also helped build a regional economy. The Athens, Ohio area where they are located is a national model for food literacy because of their work. For more information, visit the OEOC website at http://www.oeockent.org/. Brahm Ahmadi, CEO of People's Community Market in Oakland, and founding board member of the U.S. Federation of Worker Cooperatives, won a Food and Community fellowship that will allow him to deepen and expand the food activism started when he helped found People's Grocery. See Brahm's GEO article last year on the importance of developing community leadership. In the Unites States of America, socialism and communism are considered by many to be bad, tabu words, but cooperation exists, and "worker-owned cooperatives" existed and prospered for many years to this day, thanks also to the spirit of enterpreneurship that is widespread and to the practice of democracy, practice that is tought at school, starting from the elementary grade. Cooperatives are part of the self-help tradition of America.